Our motorcycles are covered by a 2-year fender-to-fender unlimited miles warranty. As a small business, we want all of our owners to be enjoying their Janus ride and ownership experience. We encourage our owners to perform their own routine warranty maintenance because we believe that understanding our machines makes us more confident riders. 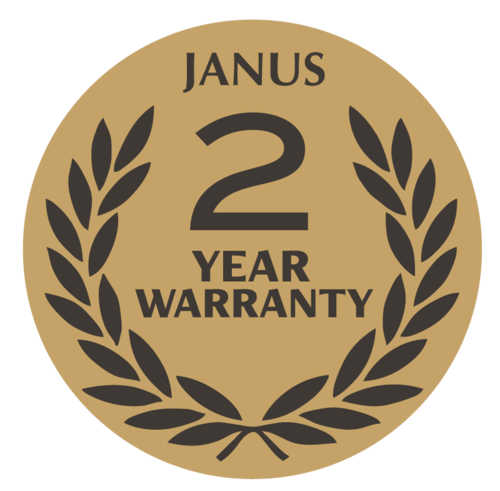 For quickest service, please call the Janus shop at (574) 538-1350. Our shop hours are 8-5 M-F. For after-hours service requests, please email service@janusmotorcycles.com or leave a voicemail and we will respond within one business day. A first start walkthrough for the Janus 250 line. How to change the oil on a Janus 250. Richard demonstrates a good technique for filling the fuel tank on your Janus 250. Because they are powder coated, extra care should be taken to not spill gasoline on any coated surface. How to adjust your idle! As our motorcycles break in, it’s normal for your idle to drop slightly. How to adjust the clutch cable on a Janus 250. How to lubricate the throttle and clutch cables and grease the front suspension pivot zerks on a Janus 250. How to bleed the front and rear brakes on a Janus 250. Please call or email with any questions. How to install the optional bark busters on a Gryffin 250. Call us if you have any further questions! Ryan demonstrates how to adjust and lubricate the drive chain on your Janus 250 motorcycle. Please consult your owner's handbook for more information and give our office a call if you have any questions. How to remove the valve cover and adjust the intake and exhaust valves. Devin demonstrates how to use our available service stand on your Janus 250. How to get your Janus 250 ready for storage and winterization. Please call us if you have any further questions! Find out when we're running a special, be the first to find out about our new models, and more! We won't sell or share your information.